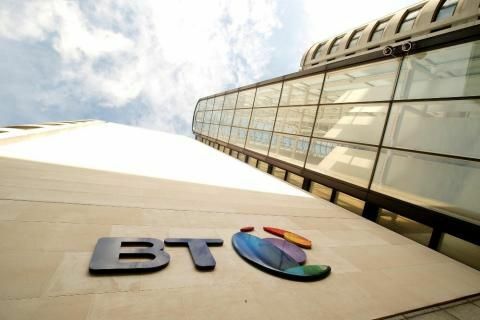 BT Group today announced organisational changes to simplify its operating model, strengthen accountabilities and accelerate its transformation. Marc Allera, currently CEO of the EE business acquired last year by BT, is appointed to lead a newly created Consumer business, bringing together BT’s Consumer and EE businesses. The new Consumer business will operate across three distinct brands – BT, EE and Plusnet – and will span fixed and mobile networks, consumer products and services, and content. This appointment will be effective September 1, 2017. After almost four years as CEO of BT Consumer, and 13 years in BT, John Petter has announced he is stepping down to pursue roles outside the Group. As part of the Group’s continued transformation, BT has also announced the appointment of Cathryn Ross, currently Chief Executive of Ofwat, the water sector regulator in England and Wales, as its new Director of Regulatory Affairs. Her appointment follows the decision of Sean Williams, Chief Strategy Officer, BT Group, to leave BT to pursue new opportunities outside the Group. Cathryn Ross is expected to take up her role in January 2018. Marc Allera will become CEO of BT’s new combined Consumer division on September 1, 2017. The division will operate across our three distinct brands; BT, EE and Plusnet, spanning fixed and mobile networks, consumer products and services, as well as content. Marc is currently CEO of EE, the UK’s leading mobile phone company, having taken the role in January 2016. Before that Marc was the Chief Commercial Officer for EE having joined in December 2011 from Three UK, where over a ten year period he held a number of senior positions including Chief Commercial Officer and Sales & Marketing Director. He is credited as a key force behind Three’s growth from start-up to a major player in the UK mobile market. Prior to joining Three’s parent company Hutchison Whampoa in 2001, Marc spent a number of years in the video game industry where he was General Manager of Sega UK. Cathryn Ross will become BT’s new Director of Regulatory Affairs in January 2018, with responsibility for developing the company’s regulatory strategy and its relations with Ofcom and other regulatory bodies. Cathryn is currently Chief Executive of Ofwat, the independent economic regulator for the water and waste water sector in England and Wales, where she is responsible for holding the £120 billion industry to account. She returned to Ofwat in October 2013, having previously been Executive Director of Markets and Economics between 2008 and 2011. Cathryn is an experienced regulatory and competition economist and has worked across a number of different sectors advising on economic, regulatory and competition issues. Prior to Ofwat, Cathryn was Executive Director of Markets and Economics at the Office of Rail Regulation (ORR). She has also worked at the Competition Commission (now Competition and Markets Authority).